Garmin has expanded its Approach Series with the launch of the new S4 – a sleek golf watch with high resolution touch screen display and smart notifications. The Garmin Approach S4 GPS golf watch is a feature-packed golf watch that builds on the already popular Approach series. It has a high resolution touchscreen display that is sunlight readable and offers a dedicated Green View button. It boasts a rechargeable lithium-ion battery that can last for up to 10 hours in golf mode. Weighing only 58.4g, and water resistant to 10 metres, the Garmin have packed powerful features into a small, easy to wear package. It comes preloaded with more than 30,000 international courses with free lifetime course updates, so there are no additional fees or subscriptions. It also has Smart Notification technology when paired with a compatible Apple smartphone, which allows the watch to wirelessly receive information from the phone's notification centre such as emails, text messages, so you can leave your phone in your bag while out on the course. Like other Garmin Golf GPS devices, the S4 gives precise distances to the front, middle and back of the green, and incorporates layup, dogleg and shot distances all while keeping score and tracking stats on the digital scorecard. The Approach S4 has a fashionable and functional design that is great on the golf course, and as a stylish everyday wristwatch. 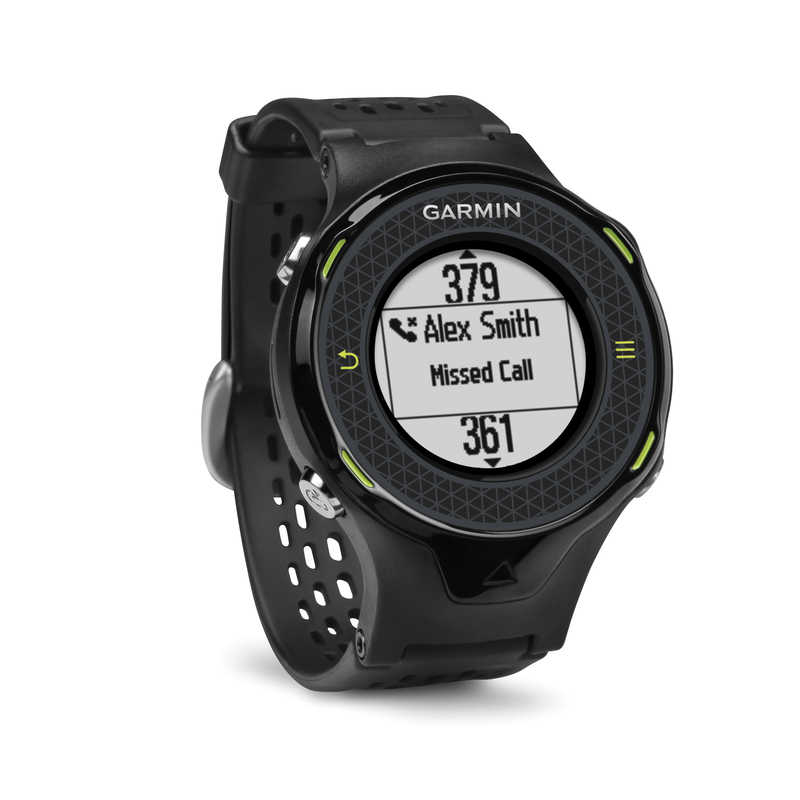 The Garmin Approach S4 will come in black and white, with optional colourful accessory bands sold separately, It will be available in late October and will have an RRP of £289.99.